--- and Look At The Mob for U-I's Red Ball Express! What price stardom? Rock Hudson may have found out via hands shook numb by Cleveland crush of ardent fans wielding autograph books and "Free Photos" supplied by Hipp management. 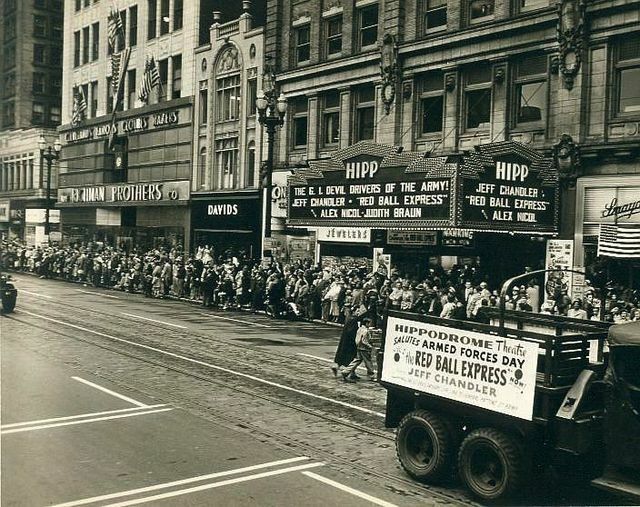 Hipp was short for Hippodrome, a Cleveland palace known to generations old and new. It seated over 3500, was ongoing from 1907, and routinely drew crowds large as what crossed a parting Red Sea. Imagine Cleveland teens Rock lured for starring western that was The Lawless Breed, best so-far of Universal pics in which he'd play lead. Note policy, doors open at 11:15 AM, shows throughout the day, then Hudson at 8:45 PM "to personally greet each and every one of you," which set up one H of an expectation poor Rock had to satisfy. The old truck driver job must have been precious memory after an ordeal hectic as this. Parallel with latter-day autograph meets abound: the star seated at a draped card table or less, throngs waiting, some polite, others not. Either way, after a first hundred, it's ag-o-nee, as Daffy used to say. Difference between then and now is Rock signing for free ... nowaday celebs want cash, sometimes lots of it. Would Rock Hudson have done hotel ballroom meets had he lived? Many of his generation did, including plenty once on U-I payroll. Few retired rich from that place. 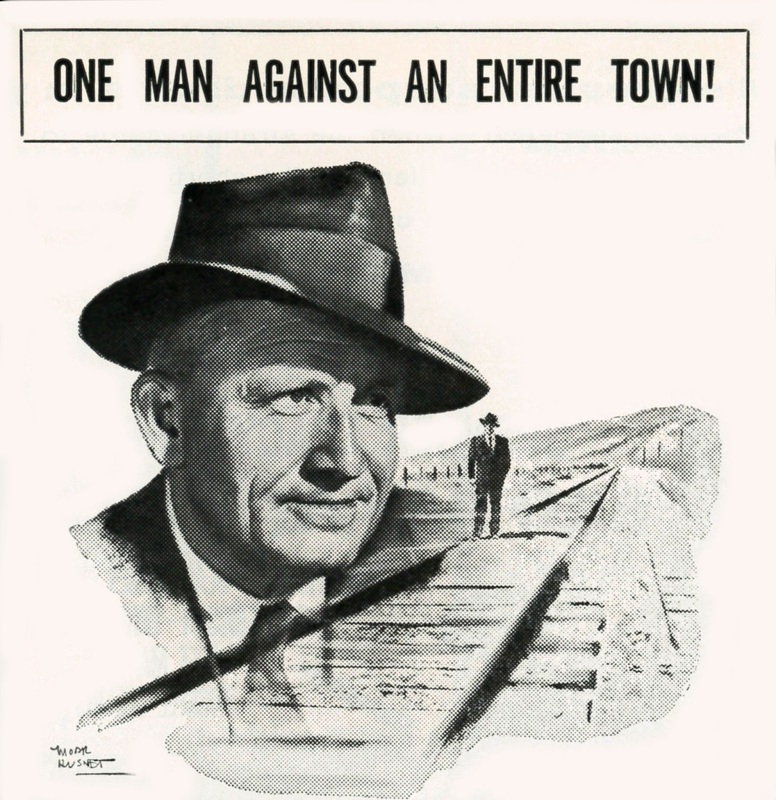 Of what-ifs connected with this, there is Don Siegel having been engaged at one point, holding the yarn awhile with hope of Joel McCrea for the lead, then standing down in favor of richer interests. Good as Black Rock is, I think a Siegel-McCrea partnership might have yielded better. Not that Metro's is overproduced, as well we might have expected. Bad Day At Black Rock is commendably brief (under ninety minutes) and plays like "B" noir blown out with cinemascope and color. The wideness, then a new thing, was enhance to arid background chosen, familiar Lone Pine never looking so desolate. Another what-if: Does Warner have the flat version made in tandem with scope one that was released? 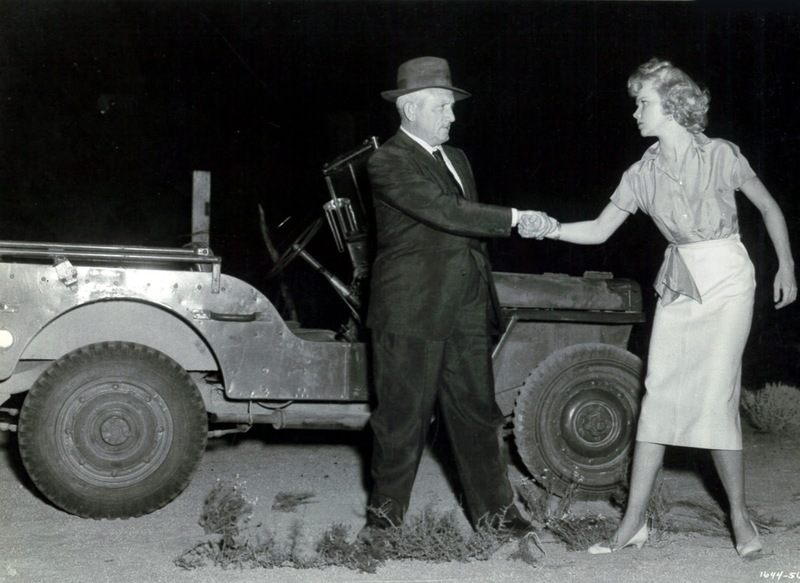 Director John Sturges says they definitely shot both ways. I'll bet there were early 16mm rental prints done from the flat negative, as was case with several others where there was choice. 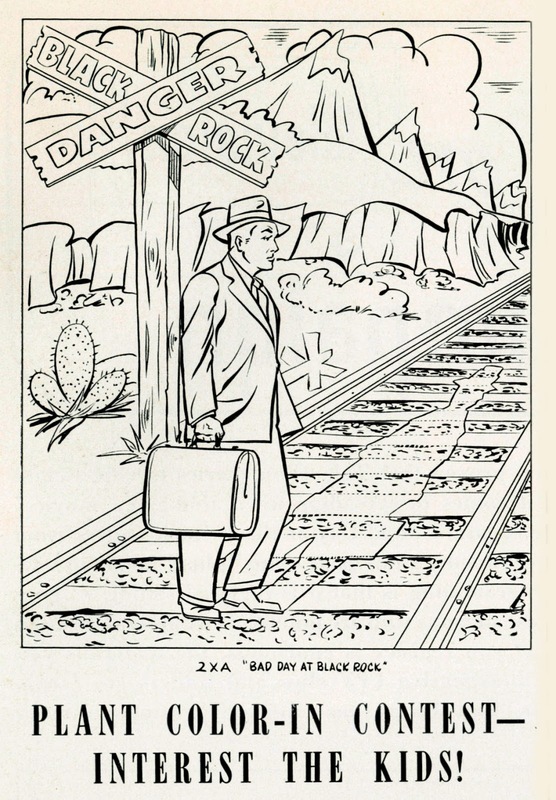 Bad Day At Black Rock would be a very different movie at closed-in setting. The title became familiar expression for years to come. I heard it the first time from a friend's dad who referred to dire things getting ready to happen. Movies have given us lots of word-play that time eroded since. 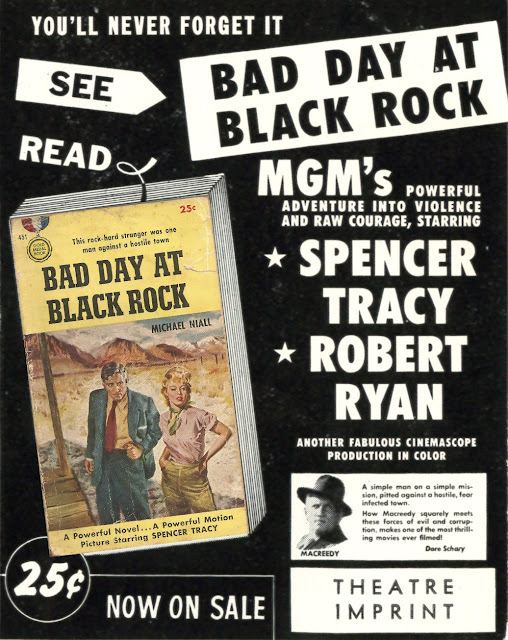 Nice to know Bad Day At Black Rock made enough impression as to broaden the title's usage. And yes, it was a success, $4.5 million in worldwide rentals against negative cost of $1.2 million, latter a lean spend for grandeur they got at Lone Pine and a clearly "A" cast. The story had good vibes from inception, like The Gunfighter of several years earlier passed from hand-to-hand and getting better with each writer's pass. The lone man investigating murder in a hostile burg was sure-fire then, remains so now, being not only a noir standard, but a western one as well. Dore Schary personally produced ... I'd like to think he brought RKO sensibility to tighten of situations and dialogue. Those Lone Pine festivals must be a wing-ding when Black Rock is shown, jeeps and trains careening over desert where Hoppy and Hoot had once horse-rode. 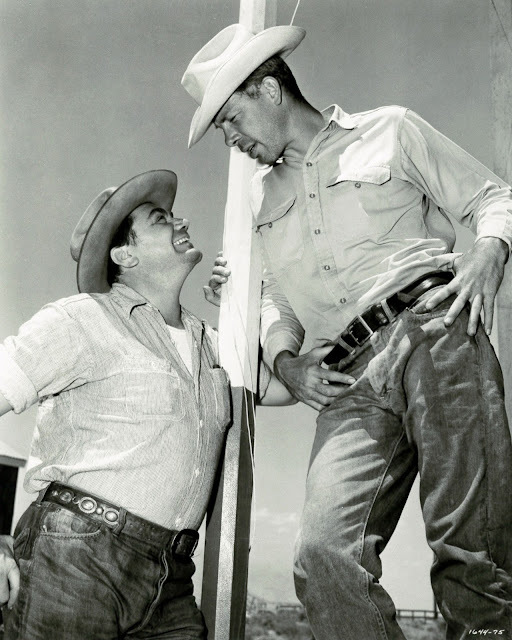 To grandeur of that comes John Sturges direction, him an emerging master of space and men dwarfed by it. He'd spend a next decade and numerous films refining the art, especially in westerns where characters were spread across screens, Gunfight At The O.K. Corral, Last Train From Gun Hill, The Magnificent Seven, others. 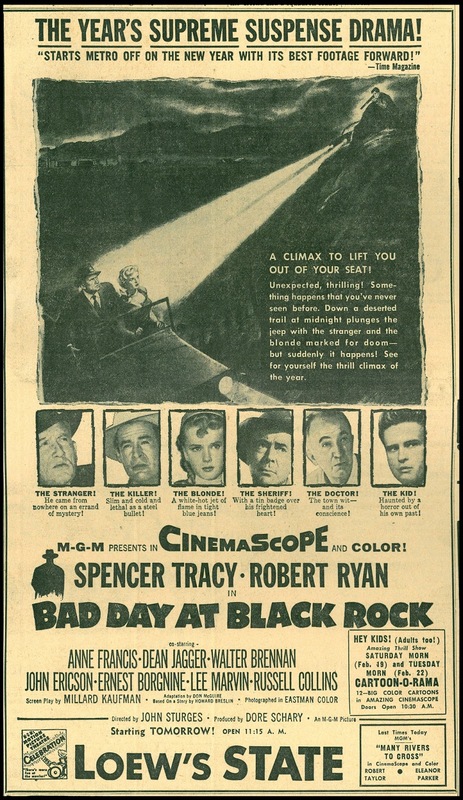 Critics liked Bad Day At Black Rock for its raising pulse plus what many saw as political blow struck at round-up and confinement of Japanese-Americans during the last war. Latter is talked about, post-Pearl rage with murder as result the driving force of narrative. We're way in before knowing all that, ergo much of Bad Day is mystery. What might have passed as simple actioner got heft thanks to the weightier content, Bad Day a first out of Hollywood to address internment/backlash issue. Schary could equate it with Crossfire as lucrative wedding of social issue with boxoffice. Black Rock's story taking place in 1945 made it no less relevant, as situations could be projected onto current racial-ethnic disputes. A younger actor might more credibly have done the Spencer Tracy lead, but who could project so vulnerable as this fifty-four, looking sixty-four (at least) star carrying thirty pounds (again at least) too many and minus an arm in the bargain? That last was a selling point toward Tracy acceptance of the part, but combo of everything sure puts his character between rock and hardest place of lethal Robert Ryan and bully-killers Ernest Borginine and Lee Marvin. Tracy at 5' 10" is referenced by Ryan as a "big" man, which in heft terms, yes, but we, and they, are talking more of Tracy the actor, I suspect, who brings more size to the part than any of still active peers could have managed. We wait willingly for his worm to turn, knowing what Tracy in past could do when finally riled. Bad Day At Black Rock speaks best to proposition that the longer the fuse, the more memorable is action once uncorked. In this case, Tracy lays waste to Borginine with judo chopping, a quick disposal that once seen, is not forgotten. Will movies ever again have such confidence as to withhold action for so long, let alone pay off so mightily once they deliver? 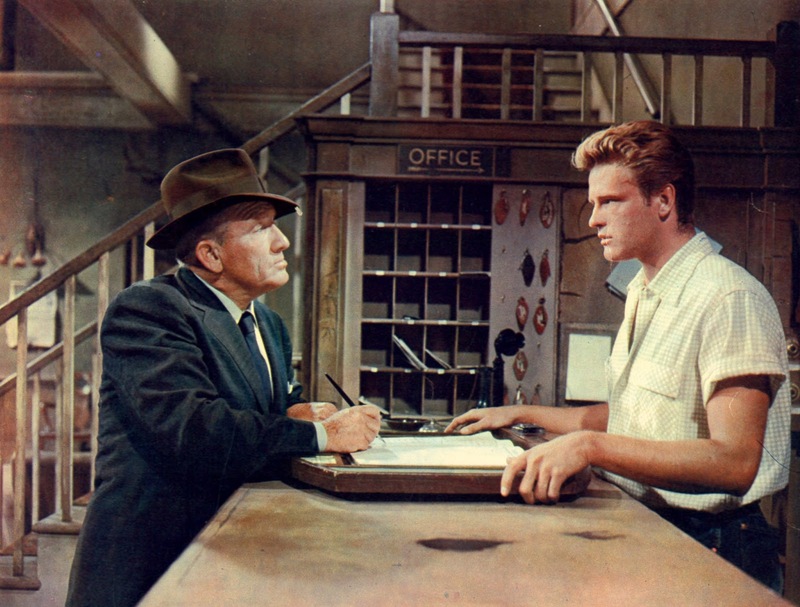 The scene has taken on life of its own quite outside of Bad Day At Black Rock, being excerpted between a thousand TCM movies as survivor co-stars talk about working with master thesp Spence (but wait ... all that cast is gone now save John Ericson). Details are what delights: Tracy ordering chili because that's all the diner has, but with coffee?? Hard to imagine eat/drink less appetizing, unless it's Edward G. Robinson and Doug Jr. having spaghetti and java in Little Caesar. Did men in movies ever ask for lemonade or orange juice? 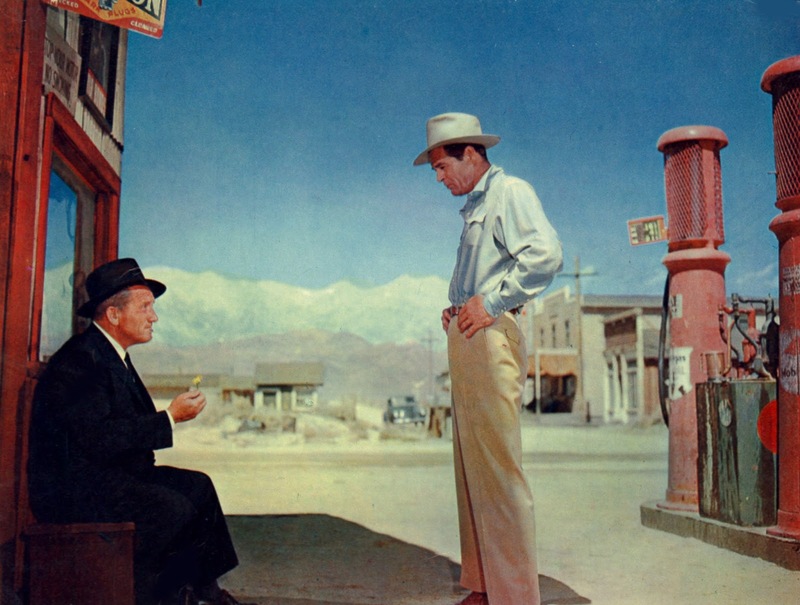 A nice thing about real life is having choice beyond whiskey or coffee, the two a seeming only option for heroes on screen (Randolph Scott got round to near-spoof of the unwritten law by obsessing over coffee in his late 50's westerns penned by Burt Kennedy and directed by Budd Boetticher). Staging permits Borginine to be believably beaten by Tracy's double, latter's substitution obvious mainly in the last bit where Ernie is judo flipped. Bad Day At Black Rock was good for Spencer Tracy because it put him for first time in a long time before an action audience, this one and Broken Lance harbingers of rugged things to come. Too bad Tracy wasn't in better shape to make a most of man-up stuff, as would contemporaries Clark Gable and Gary Cooper, who'd carve legend status deeper riding hard on wider 50's screens. Attitude surely made a difference, for Tracy continually referred to himself as an "old man," despite what moderns might characterize as comparative youth at 54. For sure, I'd take all of 54 they've got, and re-do a last eight years of Greenbriar among a lot of other things. 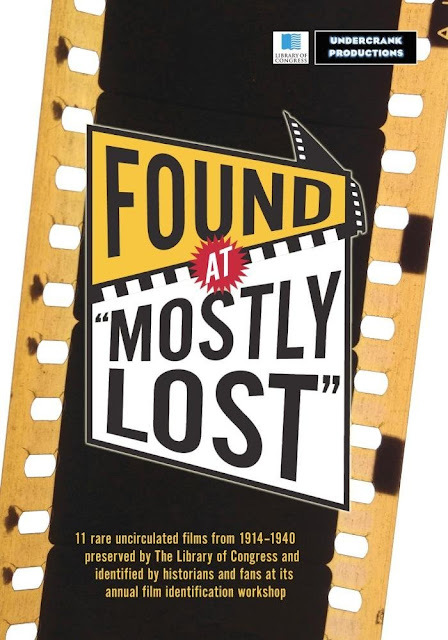 One-man Blu-Ray and DVD labels have taken a lead in silent era rollout. Archives are swell, but I see none releasing titles for home delectation. The Library Of Congress, however, earns praise for sharing with laborers of love such rarity as wouldn't be available any other way. Found At Mostly Lost is gather of shorts so obscure it took an auditorium of experts just to ID the things. Three-day process has become yearly ritual at LoC headquarters in Culpepper, Va., Ben Model and his Undercrank Productions compiling fruit of effort for disc release. Found At Mostly Lost derives from 2012-2014 conclave-ing (a lively audience I hear, membership yelling out clues, palm pilots busy, through race for title/dates). Fact these subjects are obscure doesn't mean they won't entertain, as I found to surprise/delight in seeing the batch (11 total, mostly comedy). Imagine being put in front of a surviving reel from teens or early 20's, with no hint of what's what, and nailing dope within minutes. These are chess champions of the film preserve game, and orchids to them plus Undercrank for sharing fun of rediscovery with the rest of us. I emphasize fun here, as content isn't relics of academic interest only. Watch one and you'll keep on --- share, and hear your crowd call for encore. Quality is done deal thanks to most deriving from 35mm. So who said fragments and nitrate decomp can't look good, especially w/ music overlay by Ben Model, Phillip Carli, and Andrew Simpson. I'm for support of this project so that Found At Mostly Lost might become annual DVD event. Among highlights: The Nickel Snatcher (1920), a Hank Mann reel directed by Charley Chase with streetcars and bathing girls. All outdoors and along country lanes no longer there. Fidelity (1911), another of weird grave worship shorts (a Nickelodeon sub-genre? We can't know for so few surviving). 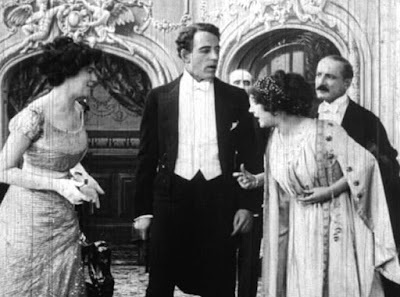 Don't be misled: screen acting could be wonderfully understated in 1911. 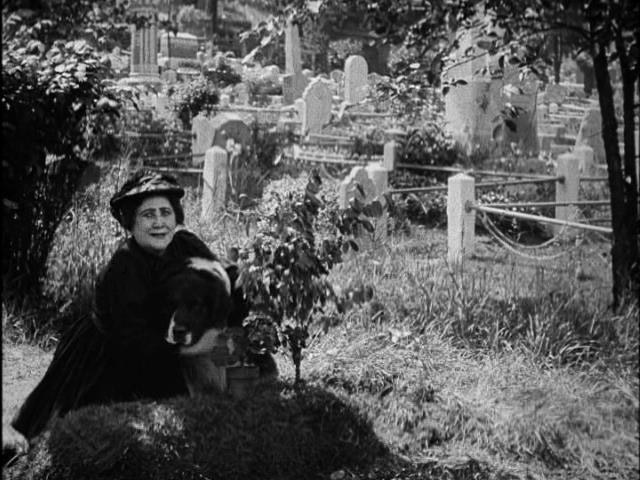 Overgrown, crowded-up cemeteries and a dog to again commune with the dead. Another of the past as foreign country, or other world. A Brass Button, also 1911, also well-acted. Starring is James Kirkwood, who'd later do a married-in-the-eyes-of God number on Mary Miles Minter and nearly get killed for it by crazed mother of same. Here was first time I realized how effective this otherwise forgotten player could be. Truth that emerges from watching nickelodeon dramas: virtually all teach sound moral lessons, more so than talkers ever would. We hear lots about censorship and blue-nosers dogging pioneer movies, but writer Terry Lindvall has researched to different, and arresting conclusion, as in discovery of fact that clergy in many locales supported filmgoing and arranged even to run films in church on occasion. 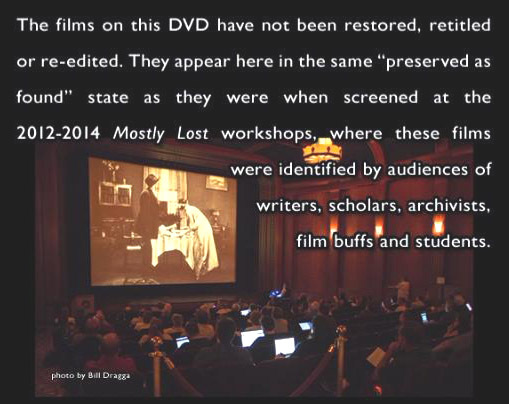 Read Lindvall findings in Going To The Movies, edited by Richard Maltby, Melvyn Stokes, and Robert C. Allen, essay entitled Sundays In Norfolk: Toward A Protestant Utopia Through Film Exhibition in Norfolk, Virginia, 1910-1920. 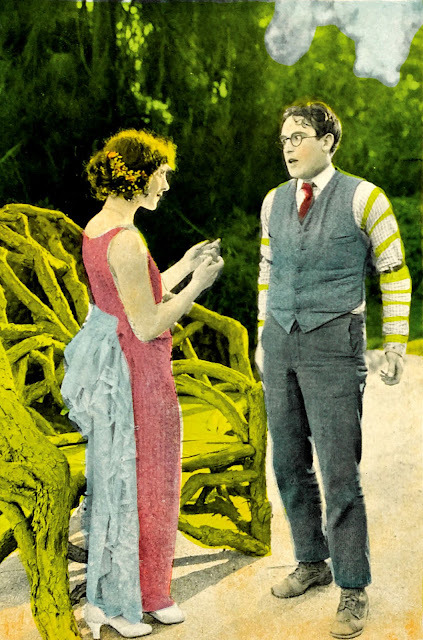 More that's good in Found At Mostly Lost: Jerry's Perfect Day (1916), park bench foolery with George Ovey (not heard of him? Neither had I). Silent clowns worked under a huge tent --- will we ever know them all? A bunch of cops strip down for a swim, Jerry steals clothes, gives them to tramps, pretty girls happen along, cops don tramp attire, get arrested by more cops. Enough of plot summary, but in the right mood, this stuff can grab you. There's also test footage for One Million B.C. 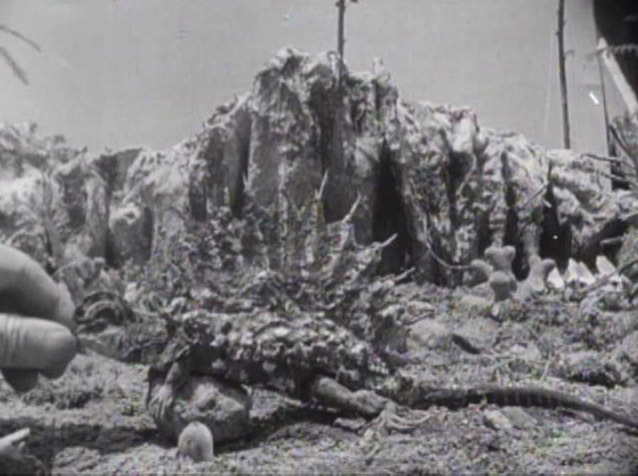 (1940) with yard lizards kitted out as dinosaurs. We see human hands reaching in to manipulate the sad things; it can't have been easy to be a working lizard in 1940. Have conditions improved? Just occurs to me: Might D.W. Griffith have supervised these tests? Ventriloquist is William Frawley doing vaudeville, with sound, from 1927. He's smooth, the routine honed over undoubted 100's of times. Another vaude short is The Joy Ride (1928), more obscure, unless you're somehow related to George LeMaire or Joe Phillips. Balance of comedy has Snub Pollard (a good one for Roach), Jimmie Adams, and Monty Banks. These were figured gone since trolleys ran, and would have stayed that way if not for LoC rescue, detection by workshop attendees, and Undercrank offering on disc. Each have thanks coming for splendid result that is Found At Mostly Lost, available from Amazon. 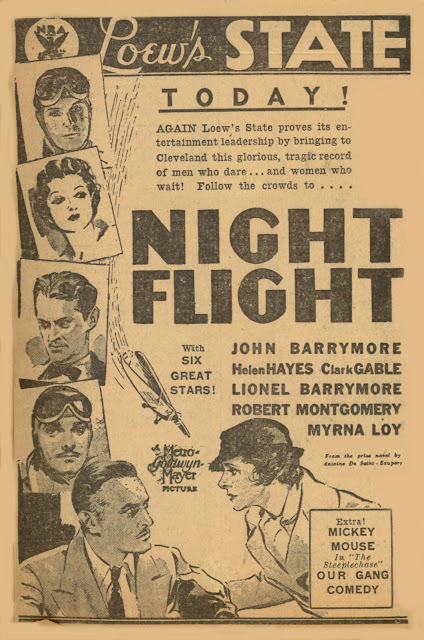 Would Night Flight (1932) Stay Aloft After So Long? 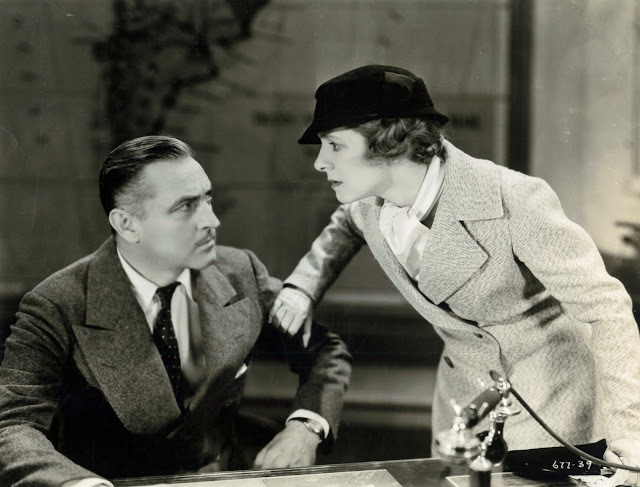 An all-star Metro special produced by David Selznick and directed by Clarence Brown comes freighted with expectation, the fact Night Flight disappeared for so many years only adding to mythology. There was notice that we'd be disappointed, word passed down that Night Flight was never an outstanding picture. When Warners finally cleared take-off, underlying story rights the principal barrier, there was gala aplenty in unveil that followed. Wanting so much to like it meant that many would, myself among them. Sometimes when you're warned of letdown, there's determination instead to find good in the thing, definitely a case here. Seeing Night Flight a second time, on this occasion via Warner Instant in HD, was what clinched a solid three stars on my register, with promise of more given further exposure. The fact I'm prepared to watch again says plenty good about Night Flight. The star-laden cast seems more a gimmick here than with Grand Hotel or Dinner At Eight, two that got far more from ensembles than a mostly wasted constellation in Night Flight. Parts done by Robert Montgomery, Myrna Loy, and even Clark Gable might have been as suited for utility players, though post-preview editing (from two hours to 84 minutes) was clearly a culprit. 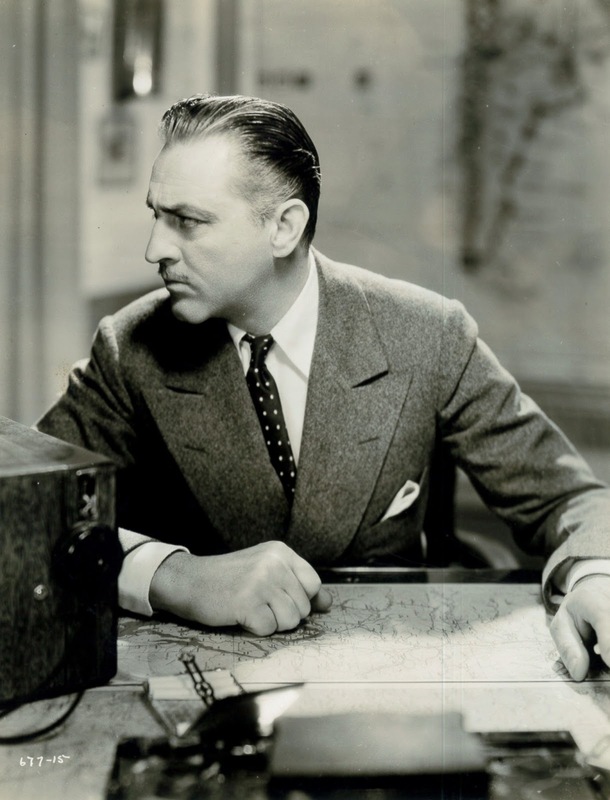 John Barrymore excelled because his was the only character around which all action revolved, even as he stays chair bound throughout. Night Flight is played with seriousness that would lessen as stars like James Cagney and (later on) Clark Gable lifted off more for a lark, while Howard Hawks aped the whole of Night Flight's concept to make hazard flying fun for both pilots and their audience. Writing on Night Flight came of the industry's best. With money like Metro's to spend, the cream of scripters could be put through as if on conveyor. A fundamental issue seems to have been a source story keyed toward cerebral vs. Selznick-aiming at a Hell's Angels for peacetime. Night Flight would be Dawn Patrol with J. Barrymore in Richard Barthelmess posture, but hadn't The Dawn Patrol been a success for Warners? The other stars are excess baggage, though their cameos lend modern interest to flawed result that is Night Flight. 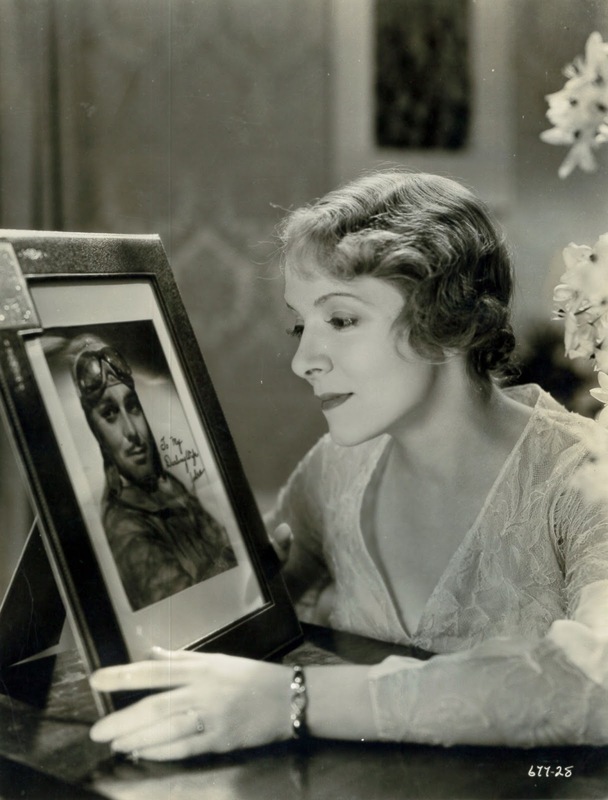 To "open up" a set-bound drama, Selznick had John Monk Saunders compose high flying for Clark Gable as a pilot in storm trouble, boxoffice hazard being fact we see him no place other than the cockpit, and in relative darkness. Was this any way to utilize a fastest rising star on MGM payrolls? What Night Flight allows is comparison of acting styles: How do these stars, all celebrated at the time, live up to our measure? Barrymore strikes me as fine and undated in approach, this being one he underplayed for a most part, and that's always relief to contemporary eyes/ears. Brother Lionel is competitive, a given when paired with John. They automatically took content less serious when teamed, producers reckless enough to combine the two deserving what they got. On-set stories had Lionel scratching while John spoke, John picking tobacco off his tongue as Lionel spat dialogue. Much of mischief likely went unused ... reshot ... for finished films don't buckle under weight of histrionics or upstaging. What clunks for me is Helen Hayes, or Helen Of Cloy as I'd tab her after two helpings of Night Flight. Jack Barrymore thanked this "real actress" for pulling him through sans need of cue cards, a JB crutch for lengthy speeches given him. I can only figure standards to have been different then, or maybe it's personal taste. 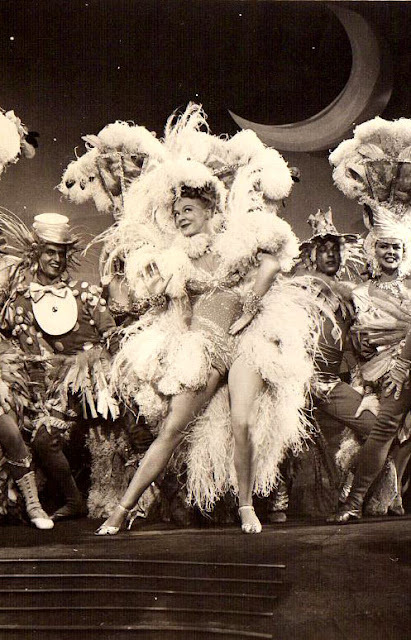 Are there Helen Hayes fans out there? 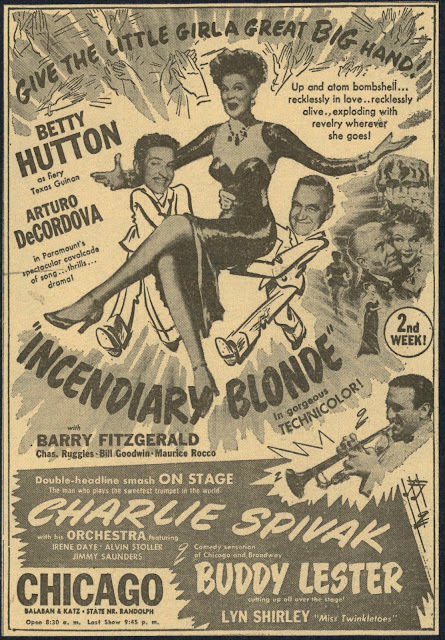 A lot may prefer I leave Betty Hutton off Greenbriar charts, but there's something about this Vesuvius of popular then, forgotten now. Some wish she'd gone away with all her dated movies. I know one or two who won't abide Annie Get Your Gun simply because Betty's in it. And here comes TCM with late-night resurrect of Incendiary Blonde, Hutton horde and maybe best of those that gave her center ring. I nearly passed for mistaken idea it was PD and so wouldn't look good. Well, it turned out gorgeous --- the sort of HD transfer you wish Universal had sent over for Frenchman's Creek. Technicolor sustains us whatever feelings toward BH, and she's fine in dry run for Annie (rodeo riding, cowgirl stuff in first act). There's singing in aggressive Hutton mode. Casting her as real-life Texas Guinan was good salesmanship, being there was at least some of 1945 who'd remember "Hello, Suckers" from Mom/Dad's era. Lead man is Arturo de Cordova, OK here and staying out of diva way. Hutton was so exuberant that she just had to crack eventually. 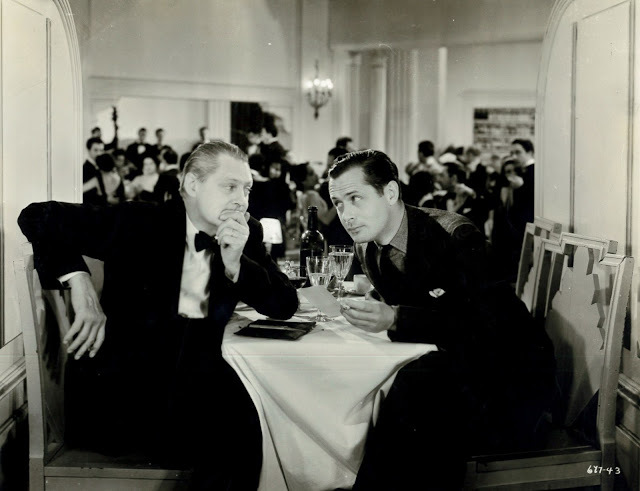 What was left sat opposite Robert Osborne in one of eeriest TCM interviews extant (see it if you can). I hope Incendiary Blonde is repeated, because there are too few Paramounts around to look this good. Seems a fortune was sunk here, though little doubt it came back, plus gain from over 1200 theatres Para owned, and then ones they had season booking pledge with. Hutton was wartime's pep-pill, as if that were needed with so many tear-down-the-house acts. Incendiary Blonde is too restless to stay in one backdrop long, keeping fast clip under direction of George Marshall, who knew the period evoked and was likely pal or at least acquaintance of Guinan herself. Latter didn't make fifty, this film suggesting she had lifelong premonition of early exit. Guinan did a lot of silent westerns, most gone now, and a few talkers. Incendiary Blonde recreates these as silly flickers, ten redskins fallen off horses when Texas fires one shot. Pre-sound movies were fair game for ridicule in the 40's, and you wonder how pioneer, and still working, directors like Marshall felt about that. Guess the paycheck was all --- how could it be a slander on art when films were considered anything but art? No Limit Of Una-Lloyd Joy! Those who were there will remember word-of-mouth the Bullitt car chase inspired in 1968. That part alone made it a must-see. 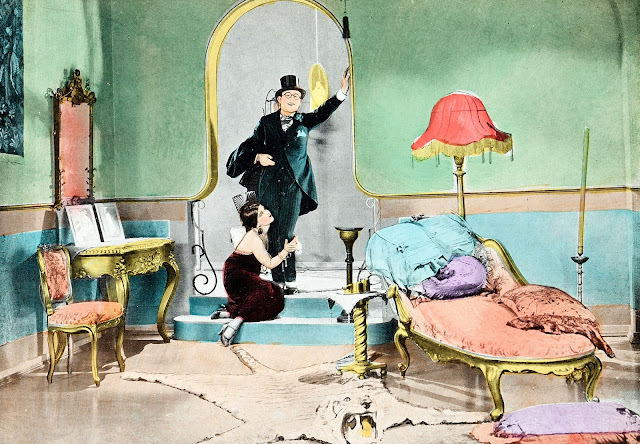 Did Girl Shy's race to the alter do as much for 1924? I'm picturing schoolyards, office space, bridge clubs ... anywhere one who thrilled to Harold Lloyd's wow finish could share excitement with those who as yet had not. It wasn't a matter of selling something you thought was funny to friends who may or may not agree. This was breathtaking for anyone with a pulse. In the name of comedy, Lloyd had outdone all of action men, including Fairbanks, Mix, the lot. He also relaxed gags in service to romance, putting his love exchange with Jobyna Ralston among most affecting done by movies that year. 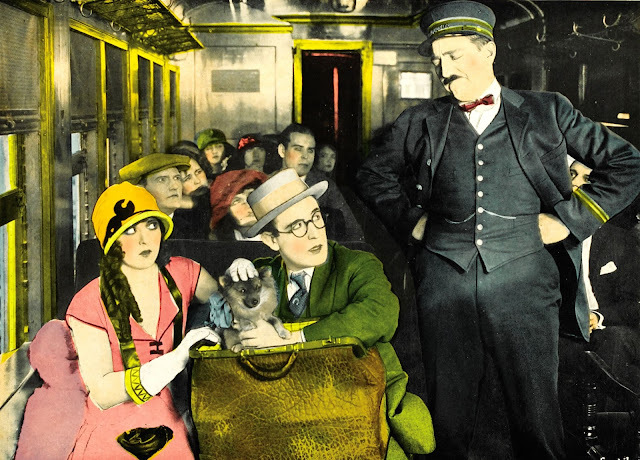 Harold Lloyd had become a figure longing hearts could identify with, and that popularized him across boards of age and gender. Can someone confirm or deny that Lloyd was liked best of all comedians by 20's women? Based on evidence like Girl Shy, I'm betting he was. 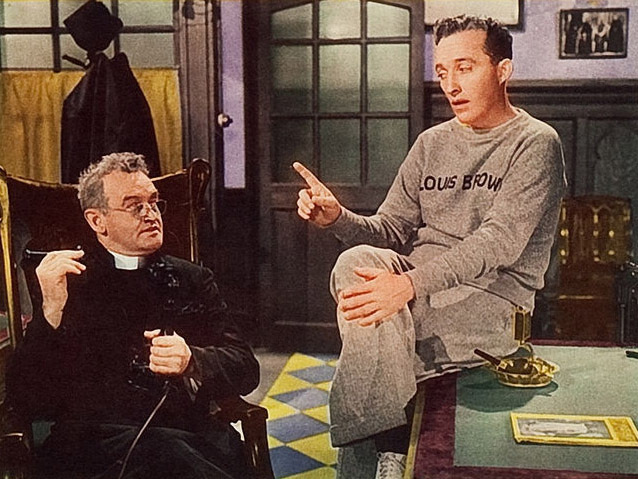 Hal Roach said that Lloyd was not naturally funny, more an actor who played comedy. Lloyd himself may have agreed, but not to be ignored is amazing physicality he lent pell-mell set-pieces like in Girl Shy. Fresh look at that (recently on TCM) tempts me to place Harold near Buster Keaton's rung, not forgetting ten finger advantage Buster and other stunt comics had. Lloyd blasting off half a hand didn't slow him. 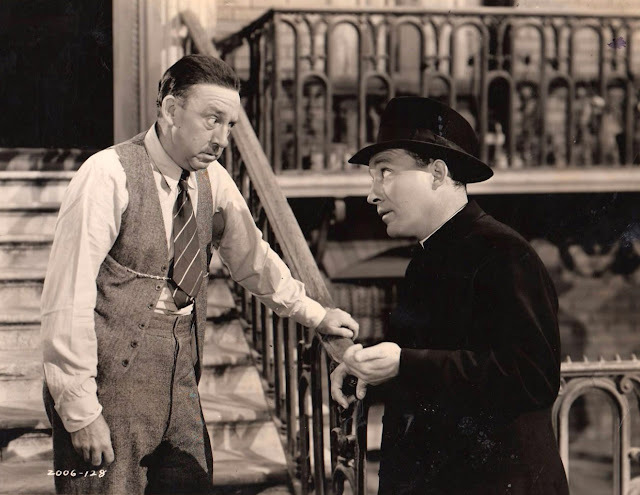 Harold's offscreen triumph over adversity mirrors onscreen never-say-die that Keaton displayed, but then all of best comedians shared ultra-initiative in face of obstacles. I'd say Lloyd had a most of it in real life, even if his in an end was most charmed (wealthy the whole way, no ruinous vices, well-regarded by Hollywood and larger community, thanks to Shriner work). Lloyd was a consummate builder of great comedy, using tools and personnel to get a job best done. He wasn't hobbled by "genius" label that forced Chaplin to make all ideas seem his own, even as writers labored in guise of "assistants." 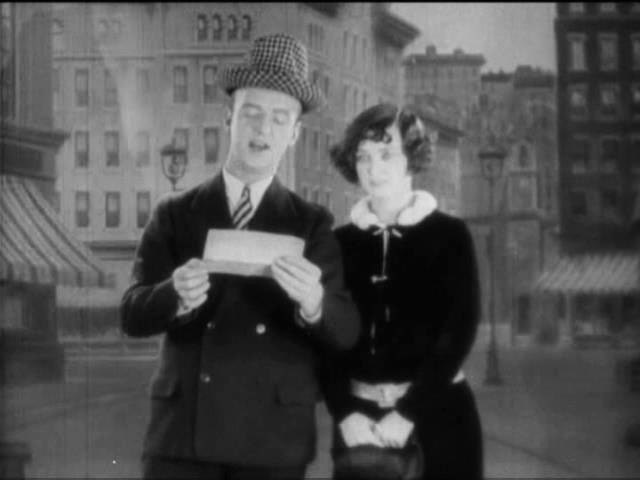 Lloyd, like Keaton, spread credit around and never laid claim to all of gag creation. One topic Lloyd fudged was doubling used for some of climb thrills. Better experts than me can tell what part of Girl Shy's race saw him stunted by others. Again it wasn't ego that kept Lloyd quiet. A big part of sales hinged on real peril he exposed himself to. Harold was the Houdini of funny men, worth buying a ticket for just to see if he'll survive a latest ordeal. He and westerner Tom Mix were unique for personal danger as part/parcel of picture-making. The 20's was an era for daredevils. Do we still have such appetite for lives at risk? A last to laugh at death that I recall was Evel Knievel, but maybe there are a hundred as brave on daily TV, a likelihood given our hundreds of channels. Maybe it's tougher for chance-takers to become really famous, especially if there's glut of them. Do we now live in a world overpopulated with Harold Lloyds? 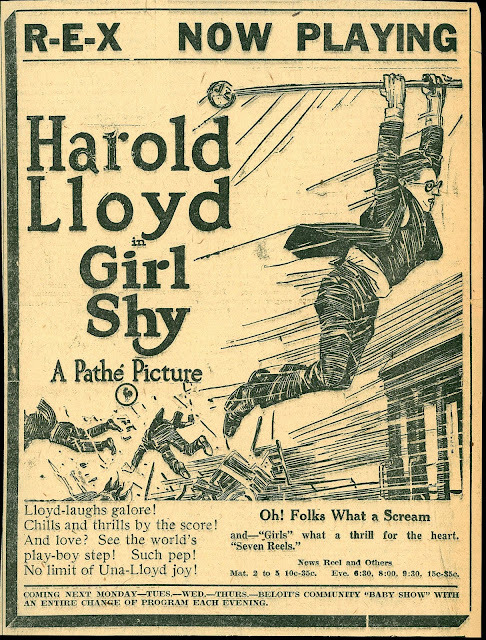 Change-of-pace Girl Shy slowed speed from gag-a-minute of past Lloyds, that a gamble for first independent effort this was (previous HL's were for Hal Roach). Just as he donned glasses to normalize, so now would Harold soften pace to let us better empathize with his alter-ego. He would henceforth be "Harold," perhaps "Hubby" (Hot Water) or as in Girl Shy, "The Poor Boy," each interchangeable. Lloyd led polls for comedy most liked at its peak, which makes his going out of fashion by the 30's so much the more ironic. 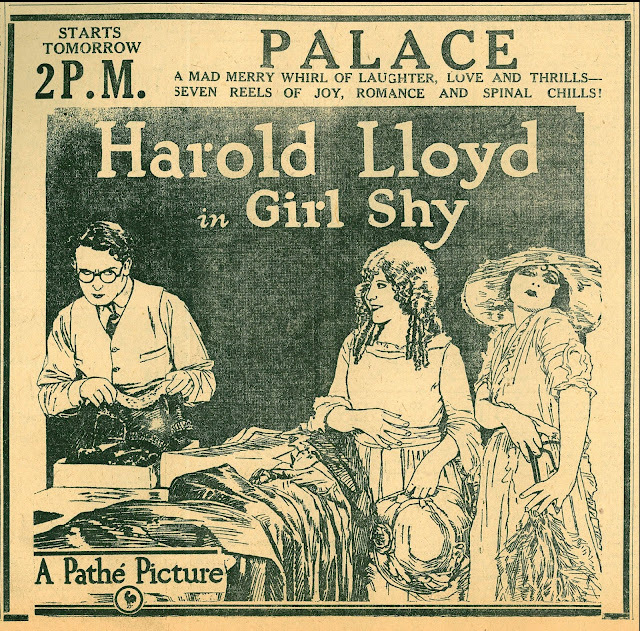 Girl Shy and all of Lloyd strike me as sunniest fun-making on 20's record. Does anything of the era put us so close to the streets of Los Angeles he used? Nowhere else do I feel warmth of California sun as from Lloyd comedy gone outdoors, closest second the silent-era Laurel-Hardys shot on streets of Culver City, though Lloyd's have advantage of better surviving elements, especially Blu-Ray re-boots as one-by-one issued by Criterion (not Girl Shy yet, though it'll sure be along in time). 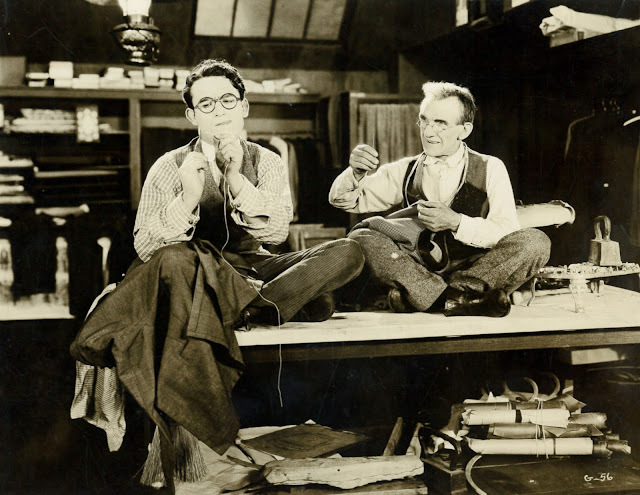 More Harold Lloyd at Greenbriar Archive: Harold's Home Movies, An Eastern Westerner, Ask Father, Safety Last, Bumping Into Broadway, and Speedy. 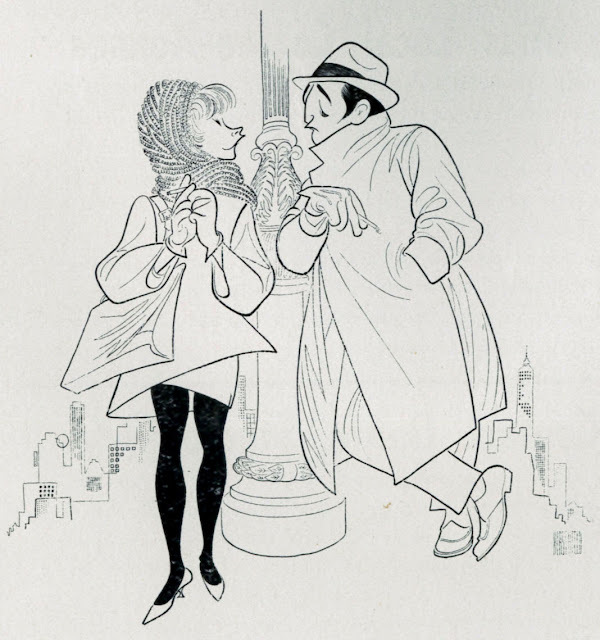 A Broadway success brought to movies in 1962, tough translate from two-room setting on stage, but opened up by scope B/W shot on NY streets. That's concentrated largely in credits, Robert Mitchum in/out of taxis, looking off bridges, to accompany of Andre Previn's score (very good, and on OOP disc). 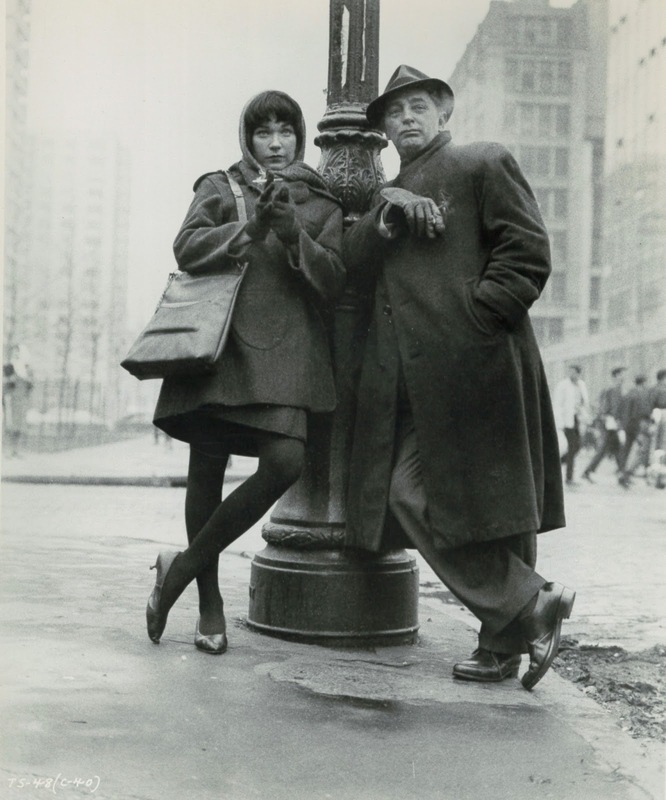 You could wish Mitchum were detecting, or otherwise immersed in city-bred crime, instead of romancing Greenwich Village "kook" Shirley MacLaine and dithering over divorce pending home in Nebraska. There was good reason Bob did mostly action subjects. He was simply better suited to them, as evidenced here. Passivity never became this actor. Gimmick of Two For The Seesaw is odd pair MacLaine and "square" Mitchum, mismatch more miscasting on his part. He could be varied things on screen, but never convincingly square. Seesaw casting was seesaw of leading men sifted before ball went to RM ... first Paul Newman, initially figured to star with Elizabeth Taylor, after reject of B'way original Henry Fonda (too old, and not movie-starry enough, said producer Walter Mirisch). The play meanwhile took to roads and summer stock with lead men I'd like to have seen try the movie version. Dana Andrews, for instance, replaced Fonda and did the part on Broadway for some months. New York is at least not glamorized, being apartments dingy or dingier. There's reference to smell, bedbugs, other realities of city life where money is limited. 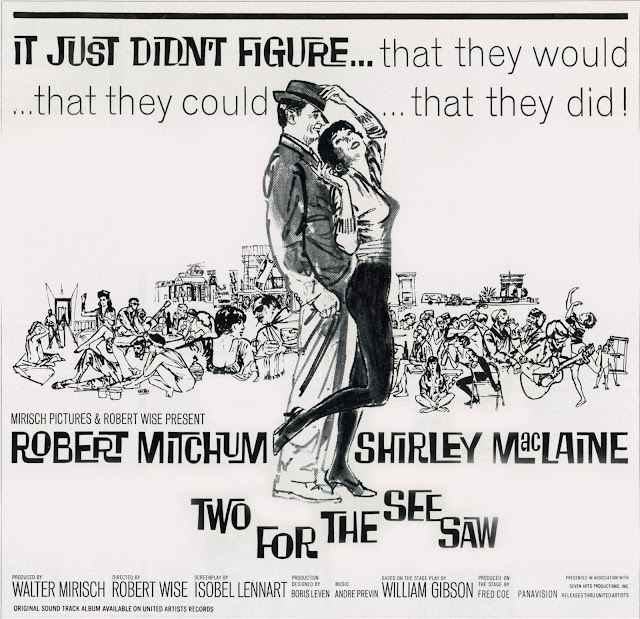 Shirley MacLaine nixes a block-size loft that rents for outlandish $65, a scene bound to raise mirth where Two For The Seesaw is revived, but would it be, other than for NYC-set festival or Mitchum closure? Romantic and sexual negotiation is spoke bluntly for what was still Code-era 1962, and Mitchum slaps MacLaine hard at one point, tells her she had it coming, a shock to modern sensibility. Reminding myself that he did this a same year as Cape Fear was food to ponder, but then there was also The Last Time I Saw Archie a short year before, so yes, Mitch covered range during early-60's. He and MacLaine got personal while on the seesaw, topic addressed, in fact a centerpiece, of her memoir years later. RM would make dates to meet at spots all round the world, then give MacLaine a stand-up w/o explanation. Maybe he was the kook. Two For The Seesaw is lately out from Kino, an excellent Blu-Ray to uptick overall rate for the show. If you asked customers after 1944 to name the greatest of all movies, many would undoubtedly say Going My Way, or at least call it their all-time favorite. How popular, then? More so than we'll comprehend as more and more who were there pass to eternal first-run. I have a friend, now 81, who spent six months of 1945 on a polio isolation floor in Jersey City. The hospital had been spearheaded by political machinist and prominent Irish Catholic Frank "I Am The Law" Hague, then mayor of Jersey City. Hague could make most anything happen by picking up a phone. In this instance, he arranged to have a print of Going My Way brought to one of the larger wards and projected to capacity audience long confined to beds or wheelchairs, including my friend. Here was an event not to be forgotten, a movie fresh and still in theatres playing on demand for the Mayor and invited patients. We can wonder what the Paramount exchange manager said when Mayor Hague sent his request, doubtless via Bishop or some such church hierarchy. My guess: "Yes sir. When and where would you like the print delivered?" Going My Way isn't regarded so high by buffs today. They'd rather be edgy and look at Double Indemnity again. Going My Way is about priests, but not religion. Everyone could enjoy it without itch that comes from sermonizing. I didn't used to like it so much, but that has changed. Maybe more growing up was in order. So many great films are ones we mature into. I'll say to start that Leo McCarey deserved all of laurels he received for the perfect story at the perfect time with a perfect cast. 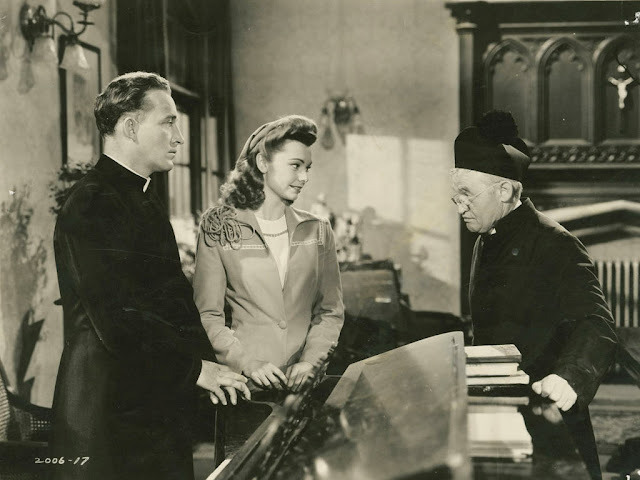 Narrative came out of his head, based on observance of church life and personalities within it, including a priest on whom he'd base the Barry Fitzgerald character. 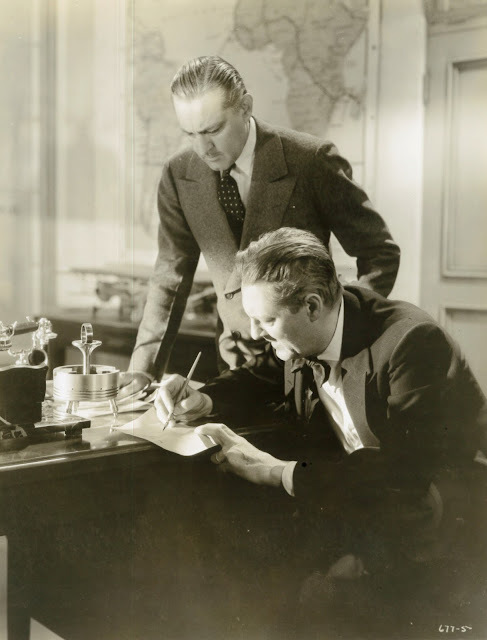 McCarey used three writers to hone a script, overseeing each line, then dropping much of that on-set where, after his fashion, spontaneity held sway. Going My Way is a series of conversations to which we have privileged access, all seeming so real as not to have come from any typewriter. 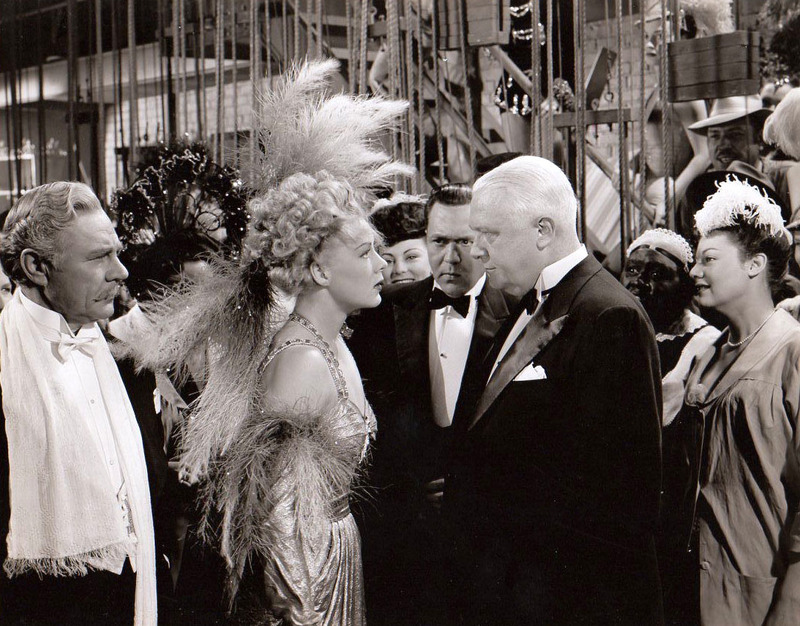 Was it brilliance of the players, or McCarey instilling gentle humor to each character and situation? After too-loudness of some screwballs he had done, it's revelation to see/hear McCarey dial down talk to subdued, but so much more effective, level. 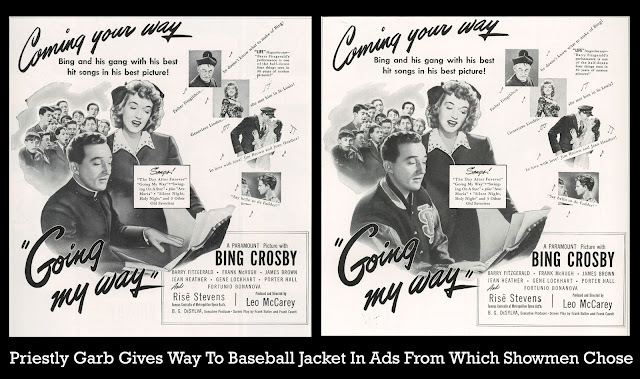 Priests were understood not to shout, but these would inspire plenty of it from vastly amused patronage in 1944-45. Going My Way won the "Best Picture," plus every other meaningful award. It was industry-recognized as a most brilliant appeal to sure-thing boxoffice since It Happened One Night. 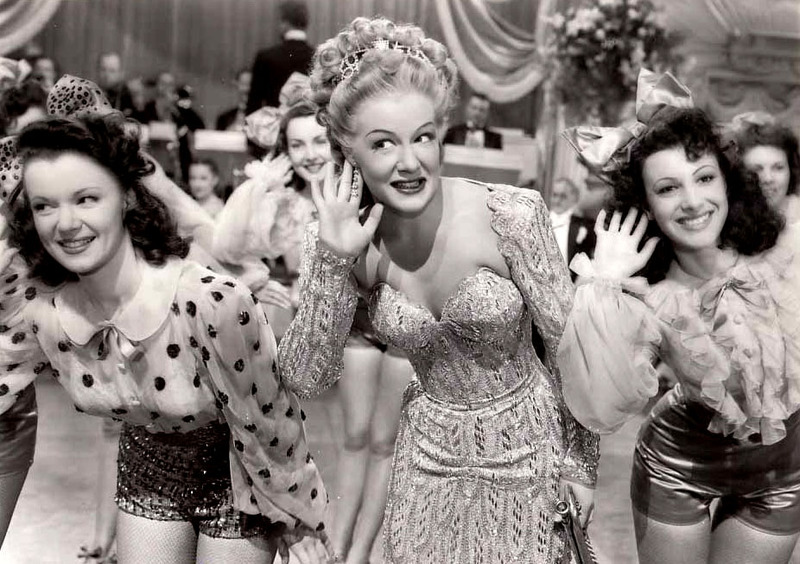 Had showmen and receipt counters named a #1 genius that year, it would have been Leo McCarey. Ideas like his were truly unique to him. 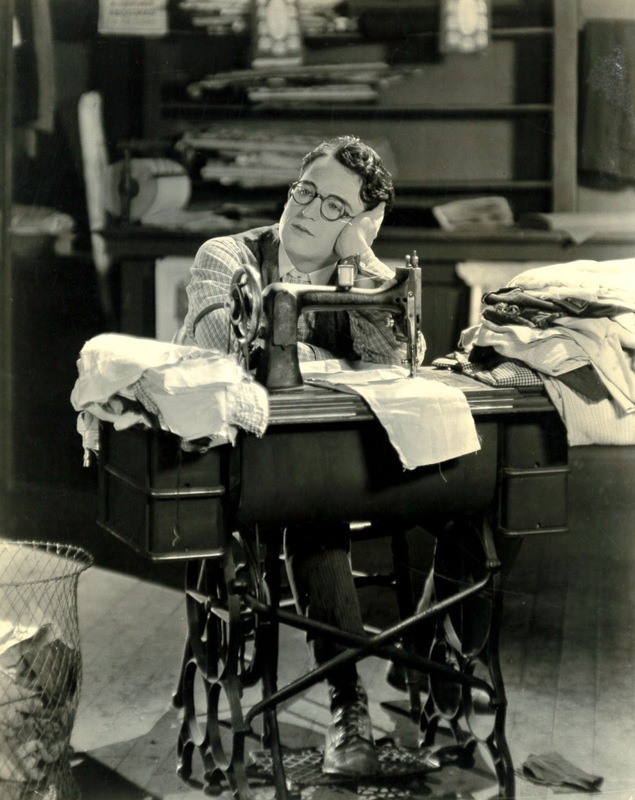 Sounds simplistic, but how many such gifted comedy minds, ones who could do it all, were at work in 40's Hollywood? Preston Sturges maybe, but his were more uneven, didn't envelop so wide an audience. 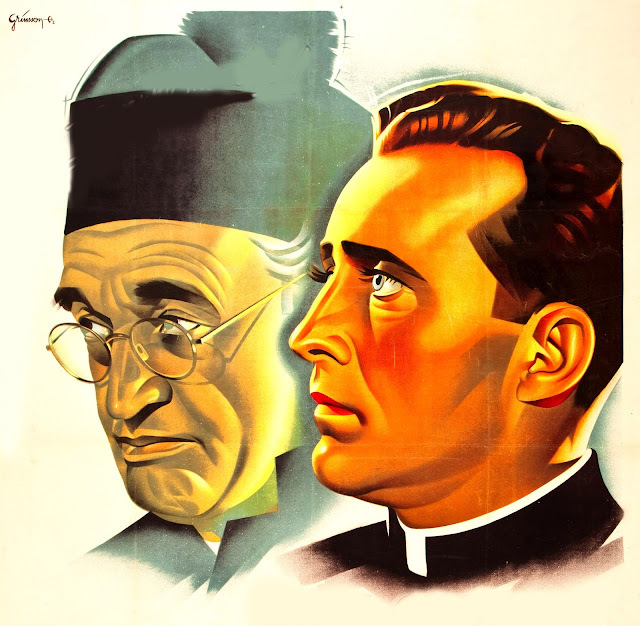 McCarey and Going My Way drew people who'd not ordinarily bother with movies. Variety says it took $6.5 million in rentals, a figure bested by precious few during wartime. The immediate sequel, Bells Of St. Mary's, would approach twice that. 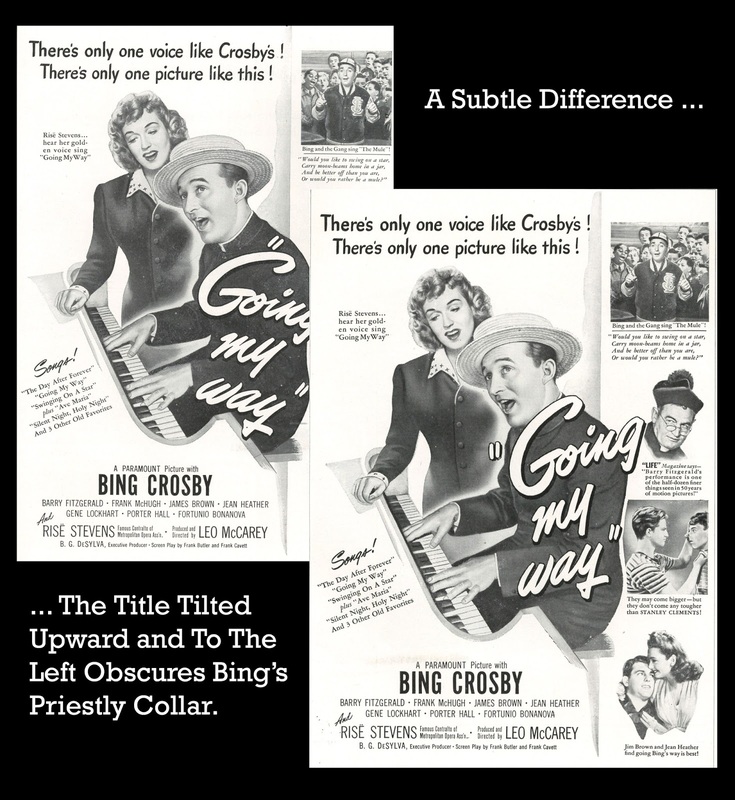 Paramount marketing played safe with Going My Way ads, offering Crosby in or out of clerical collar. Territories with strong Catholic presence would opt naturally for collar art, while areas more Protestant had neutral imagery of the star to choose from. Exhibs might also lean to straw hat and singing Bing to downplay any religious theme. Para sales had virtually every layout in alternate styles so that showmen could take the plunge, or not, re Crosby as priest. It was a tight wire theatres walked in those days. Crosby and McCarey were together in dedication to the church. They had spoke for years of teaming before Going My Way came along. 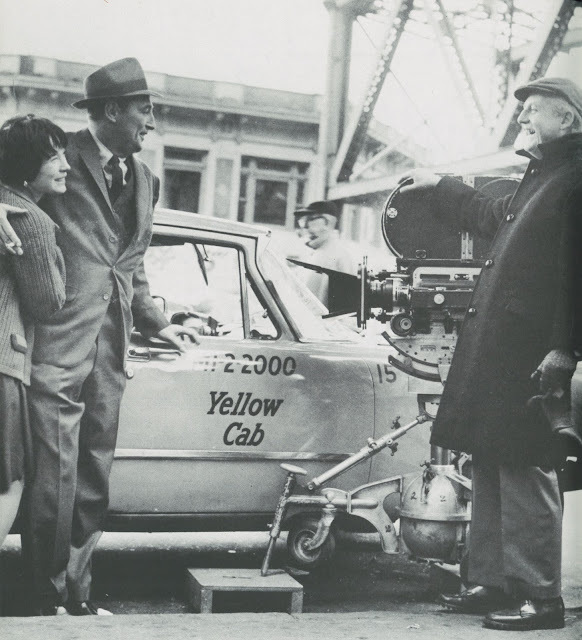 Crosby always had a relaxed camera technique, acting that never seemed "acting," his approach ideally suited to McCarey pace and letting humor flow natural from characters and situations. Nothing of screwball entered into Going My Way. As with fresh style he invented for Hal Roach comedies in the 20's, McCarey let laughter happen at natural tempo, never rushed and at all times the stuff of real life rather than Hollywood contrivance. 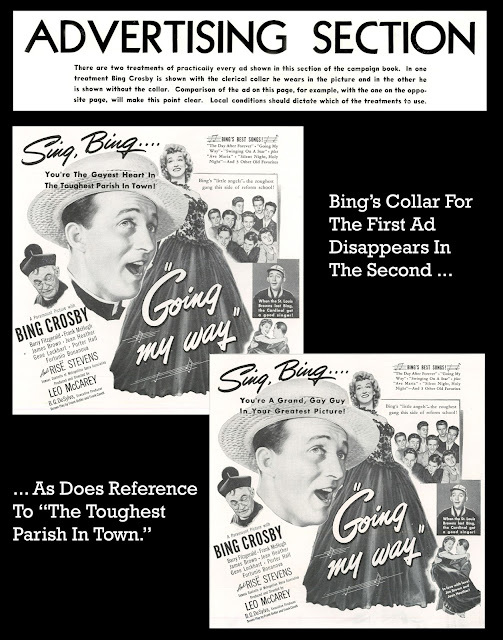 Still, Going My Way was Hollywood, as certainly there were no priests around like Bing Crosby, but he had way of putting truth to any part, never so effectively as here. It's one of the best performances any actor gave in the 40's, probably as near a unanimous vote as Academy members gave that decade for a thesp award. 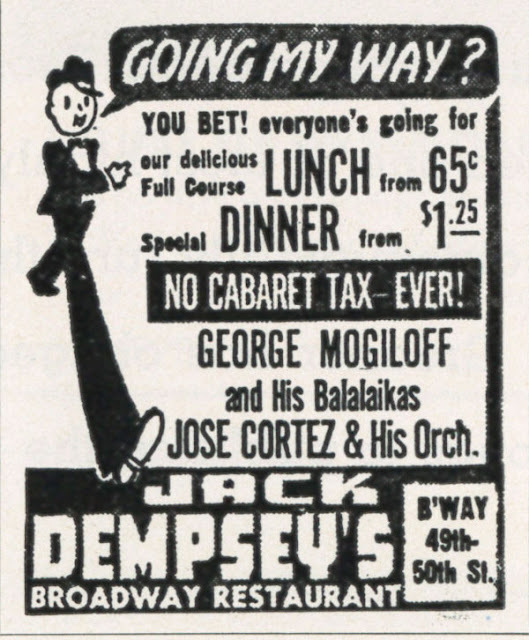 As to Best Direction, I've read that Billy Wilder tried to trip Leo McCarey during latter's walk to the podium. True? Wilder would wait decades for his Double Indemnity to shade Going My Way in history's estimation, but that wouldn't necessarily make it a better picture, only the more fashionable one.